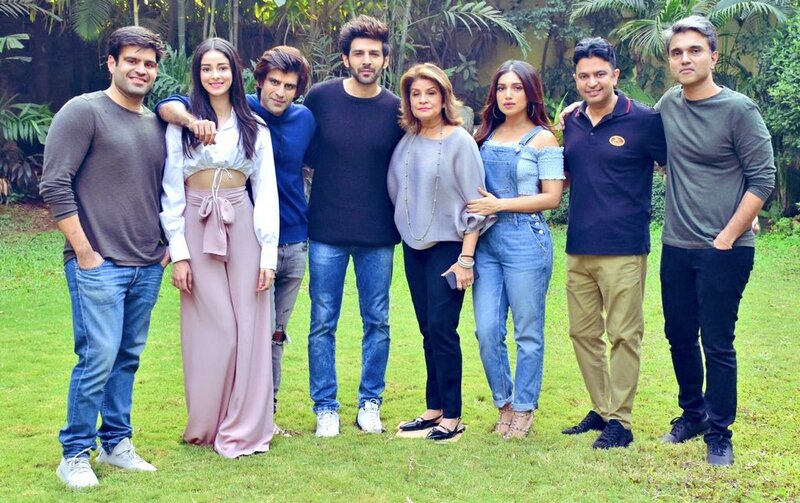 New Delhi: The first look of 'Pati Patni Aur Woh' remake is here and it features Kartik Aaryan, Ananya Panday and Bhumi Pednekar in pivotal roles. Patni Ya Woh ? ?#PatiPatniAurWoh ? Super excited to work with @bhumipednekar #AnanyaPanday ! पत्नी और वो के बीच ?? Bhushan Kumar, producer of the film, confirmed the news by sharing a picture of the cast members. "Our next project! Pati Patni Aur Woh to go on floors soon," he tweeted. Ananya is all set to make her Bollywood debut with Karan Johar's 'Student of the year 2' alongside Tiger Shroff.